Step into Robert Ingpen’s magical world with this book of wonderful images that have made Robert a worldwide household name for children’s illustration. Here you will find his own autobiographical tales, illustrator’s notes, original sketches and illustrations from his award-winning publications. Robert leads us on his journeys into the wondrous landscapes of the classics he has so famously illustrated (Neverland, the Riverbank, Oz and Alice’s Wonderland) as well as into the magical landscapes of his own imagination and the more real but no less magical scenery of his own beloved Australia, and reveals the places, stories and people that inspired him along the way. Robert’s astonishing creative vision has breathed life into more than one hundred books and delighted countless children around the world throughout his remarkable career as an illustrator. 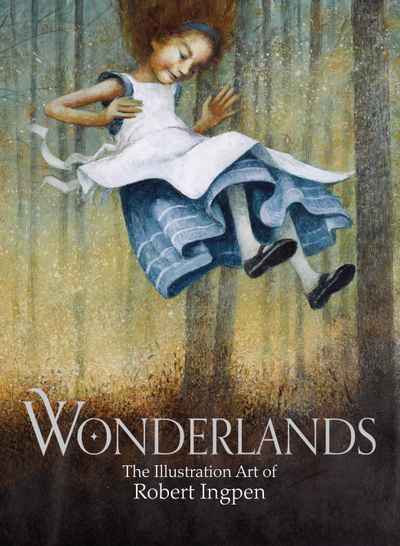 Wonderlands is a fitting celebration of Robert Ingpen’s work as a master illustrator and storyteller.